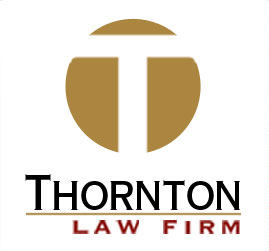 Thornton Law Firm in Atlanta, Georgia represents people who have been injured or killed in preventable accidents caused by the negligence of others. Thornton Law Firm handles significant personal injury and wrongful death cases involving automobile collisions, tractor-trailer wrecks, premises liability, product liability. At Thornton Law Firm, we are Competitive, Compassionate, and A Proven Winner For People. As lawyers on the side of people, we only represent people who have suffered serious injuries or lost a loved one in preventable accidents caused by the negligence of others. We try cases in any state or federal courtroom in Georgia. If you or someone you love has suffered a catastrophic personal injury, contact Thornton Law Firm, P.C. today for a free case consultation.